This two weeks trip is specifically designed for the photographers, who want to photograph the most stunning landscapes, rice terraces, seascape, daily life. The trip will also give you a good insight into the history, culture, architecture and local life of the places you visit. Early rise –breakfast – take a 7 hour private drive along the scenic road towards Thong Nguyen with lots of photographic opportunities at beautiful sites, local markets & hill tribe villages. Upon arrival in Thong Nguyen, check in the resort for a rest & photography evaluation - wander around for photo opportunities at dawn – dinner in the resort restaurant – the rest of the day is yours. Up early - stroll around for photographic opportunities at sunrise - breakfast - take a hike through the hill tribe villages - rice terraces - bamboo forests among the lush mountains and hills. During your hike: visit hill tribe families for an overview of the history, culture, architecture and daily life - lunch at a local family – return to the resort - check out - transfer to Bac Ha on one of the most winding roads in Vietnam with lots of scenic views. Upon your late arrival in Bac Ha town, check in the hotel for rest and photography evaluation – stroll around the area – dinner - The rest of the day is yours. Start at dawn – transfer to a local market – stroll around the market for photographic opportunities - return to Bac Ha town – visit Bac Ha market –travel to Ban Pho village – wander around the fields & villages - transfer by road to Sapa town with photo stops at tea plantations along the way – arrive at the hotel in Sapa town – time for rest & photography evaluation – dinner - The rest of the day is yours. Up early – breakfast – transfer to Muong Hoa valley – hike along the descending trail through the rice terraces towards Lao Chai & Ta Van villages with lots of photographic opportunities – visit some hill tribe families & local schools – transfer by road back to Hanoi – lunch en route - rest & photography evaluation in your car. Upon arrival, check in the hotel – wander around the streets for more photos of the city at night – dinner – the rest of the day is yours. Early rise – transfer to the early flower market & the fresh food market – morning activities around Hoan Kiem Lake – travel to Ha Long city – breakfast en route – rest & photography evaluation in your car – around noon board a traditional boat – lunch whilst enjoying your scenic cruise on Ha Long Bay – with lots of photographic opportunities – make an anchorage at a nice & quiet spot for your overnight stay – dinner on board before your good night’s sleep. Early rise – top deck – Tai Chi – enjoy your light breakfast – disembark for an easy exploration of the cave close by – return to your boat - check out your cabins – enjoy a nice brunch while sailing back to land – board your private car and head to Hon Gai town - take a leisurely walk around the fishing harbor – ride a sampan around the fishing village & floating market – wander around the Hon Gai seafood market – return to Hanoi with stops at the fields for bucolic scenery photographs – arrive in Hanoi in the late afternoon – the rest of the day is yours. Early rise – transfer to the airport for your short flight to Dong Hoi town. Upon arrival, you will be met & privately transferred to Phong Nha - Ke Bang national park. Today's experiences include: the Phong Nha cave - Thien Duong Cave - a short hike along the Mooc stream among the lush mountains and hills. Afterwards transfer to the hotel. The rest of the day is yours. After breakfast you will take an in-depth tour of the most interesting sites in Sai Gon City. 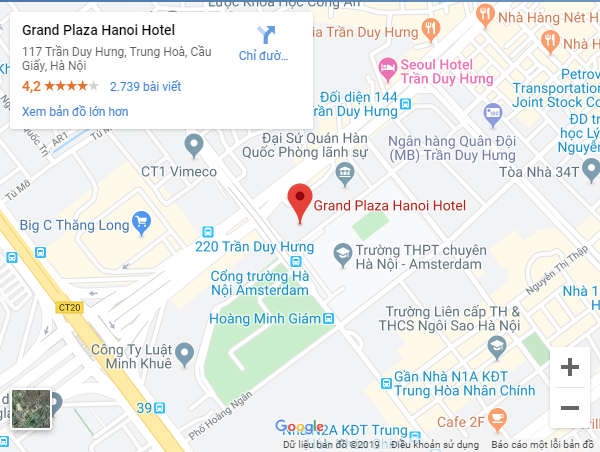 Today’s experiences include: Cu Chi Tunnels – Lunch in a local restaurant - the War Remnant Museum – Reunification Hall – Notre Dame Cathedral and the Central Post office nearby – Ben Thanh Market. Afterwards return to the hotel. The rest of the day is at your leisure. Early rise - breakfast - take a 3 hour drive to Ben Tre. Upon arrival, you will visit a brick factory – board a traditional style boat for a scenic cruise along the Mekong River – make some stops at local houses along the way – hop on bikes for a leisurely ride through the countryside – lunch in a traditional Mekong village restaurant - board a motorboat to explore more of the Mekong Delta. Afterwards return to the car for your transfer to Cai Be - time for rest and photography evaluation - wander around the villages - dinner. The rest of the day is yours! Early rise – breakfast – transferred to the Angkor Thomp Complex which includes a nice southern gate, Bayon Temple, the Elephant Terrace, Ta Prohm Temple for photographic opportunities at sunrise - return to the hotel - time for lunch, rest and photography evaluation – transfer to the Angkor Wat Temple in the afternoon – take photographs until dark - return to the hotel for refreshments - dinner. The rest of the day is at your leisure. Up early – breakfast – transfer to the harbor for a boat ride on the biggest lake in the South East Asia and visit: floating villages - floating houses - floating school - hospital - temple - fish farms - crocodile farms – cruise back to the harbor and eat lunch at an authentic restaurant – transfer to the airport for your departure flight.